A visualization of the finished Mass + Main complex that is under construction in Central Square in Cambridge. 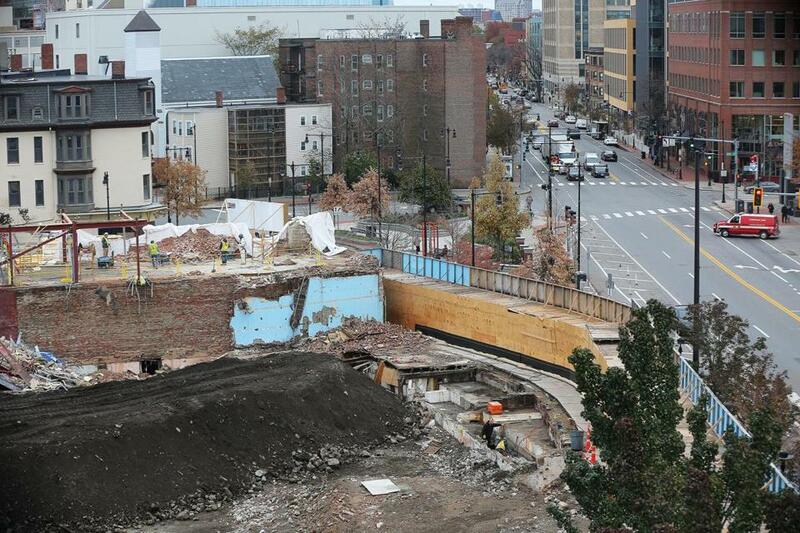 Construction is beginning on a 19-story apartment tower at the corner of Mass. Ave. and Main Street that will be among the tallest buildings in Cambridge, and is the latest — and largest — in a wave of projects transforming the eclectic neighborhood. Dubbed Mass + Main after its location, the project by Twining Properties will have 306 apartments and street-level retail in three buildings. But a housing development needed size to work financially, which Twining said required a much taller building than the zoning allowed. 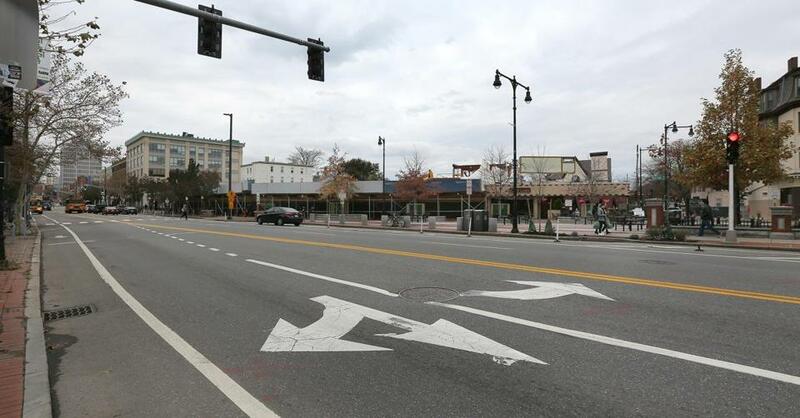 It took several years to get the project through permitting in Cambridge, as some elected officials worried a 195-foot tower would be out of scale with the rest of Central Square, and the apartments and retail too expensive. Twining agreed to rent 20 percent of units at lower prices to lower- and middle-income renters — before the city adopted that requirement for large buildings — and make the units a wide mix from studios to three-bedrooms. The retail component will have lots of small spaces, Twining said, instead of just a few large storefronts, to better target independent local retailers. The mix of companies in Central Square, meanwhile, has changed recently. Target has opened one of its small-format stores on Mass. Ave., and a boutique hotel is replacing the now-closed Cinderella’s, a longtime neighborhood restaurant. Co-working giant WeWork moved in earlier this year, and the office building it occupies recently sold for $75 million, nearly twice its sale price five years ago. While some change is welcome, Michael Monestime, president of the Central Square Business Association, said it is important to preserve the neighborhood’s eclectic culture. The funky blend of lunch spots, bars, ethnic restaurants, and independent stores has come under growing pressure from rising rents. New development can be beneficial so long as long as it doesn’t push out residents and businesses in Central Square now. 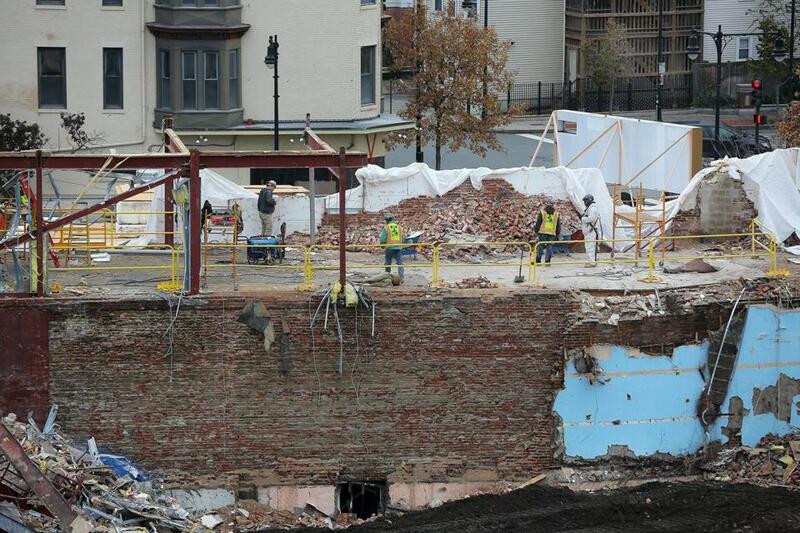 The site in Cambridge's Central Square. 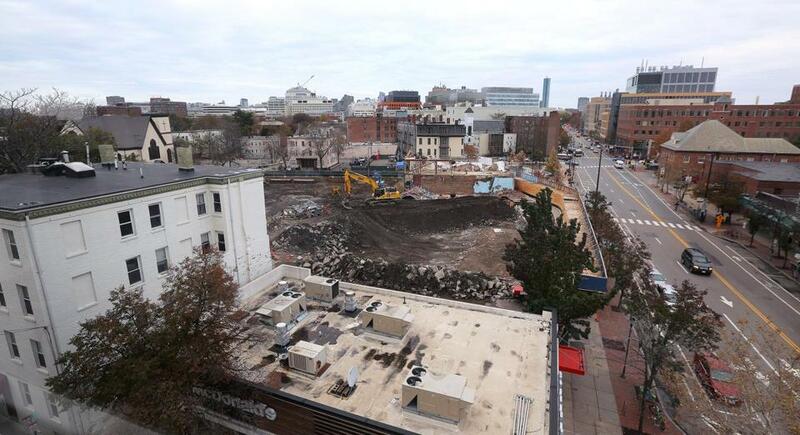 Construction is beginning on a 19-story apartment tower at the corner of Mass. 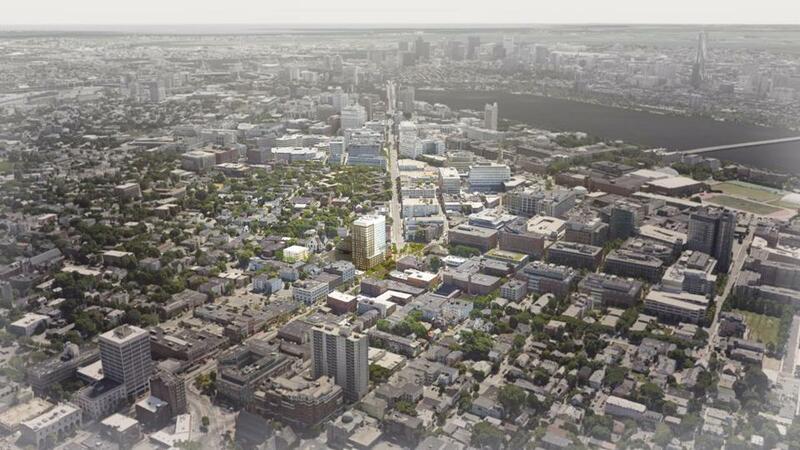 Ave. and Main Street that will be among the tallest buildings in Cambridge. Construction workers at the site. It took several years to get the project through permitting in Cambridge, as some elected officials worried a 195-foot tower would be out of scale with the rest of Central Square. A rendering of the tower. A rendering of the skyline with the tower in it.